In the moments following an automobile accident, there are certain things that you should do to protect your interests, your safety, and your health. If there’s an accident, stop the vehicle right away. Even if the accident seems like it is a minor one, it is good to stop and make sure that you and everyone in your vehicle are okay. If either you or another party is injured, you should seek medical attention right away. It’s always best to include law enforcement. You’re going to need law enforcement when you file an insurance claim. Leave the scene undisturbed. This allows law enforcement to look at the scene and record their findings. Be straightforward and upfront with the police. Do not speculate. An Oregon car accident lawyer may encourage their clients to avoid being quick to say that they are not hurt after an accident. Sometimes it takes hours before the pain from an automobile accident kicks in. If you are asked if you are hurt, simply state that you are not sure. If need be, get a medical checkup. You want to avoid further accidents. Unsuspecting automobiles may drive into the accident scene. You should try to warn drivers by having your flashing lights on or setting out flares. This is especially important at night. You want to do whatever you can to get other drivers to slow down. Take photographs. Thankfully, most people have cameras on their cell phones. Take as many photographs as necessary. Take photographs of visible signs of damage. Note skidmarks on the road and the distance between the vehicles. All of this could be used as evidence when determining the amount of compensation you are due. Collect contact information. It may be necessary to move the vehicles before law enforcement arrives in order for traffic to continue to flow. You should take down names, phone numbers, and other pertinent information of everyone involved in the accident. In most cases, insurance companies will come into play. 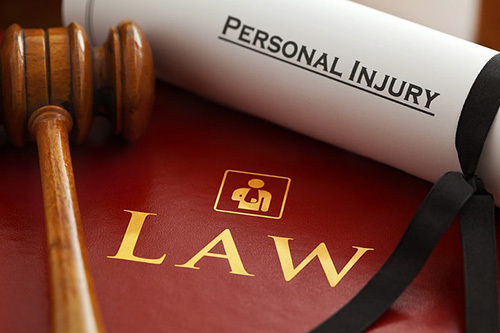 They will help to assess the damage and determine the amount of compensation that is due. This entry was posted in Law and Law-Related Issues and tagged car accident, car accident lawyer, what to do after a car accident on July 6, 2018 by Yami.